The sound of rock echoed around the school on two occasions today as the children from the ‘Rock Steady workshops’ performed a series of hits in a special concert. 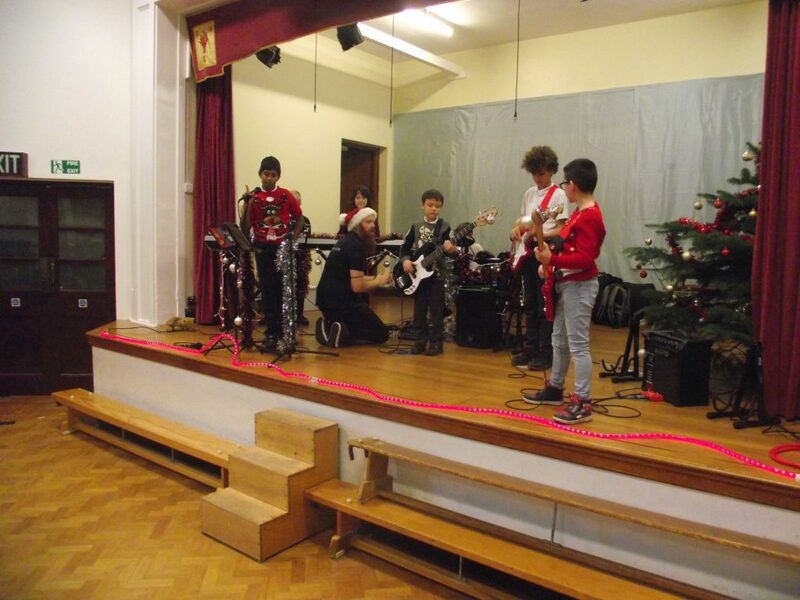 The children have been learning a range of instruments as a band throughout the term and today three bands took to the stage in the upstairs hall in order to show how brilliant they now are when they play together. In the first performance the children played to the rest of the children from KS2 and then afterwards they performed again, this time to proud parents and other family members. Well done to all of the children who took part and performed, we are proud of you! Meanwhile, outside in the Forest Friends area, the children from Year One created a series of works of art out of natural materials, made large scale dens in teams and created a series of Christmas decorations by drilling and painting wooden disks. At the end of the afternoon the children in Year Three continued to investigate bread by creating their own dough. The children followed a series of instructions in order to create dough that could hang upside down without falling which they could then roll and twist into different shapes ready to bake…..some were more successful than others!